Do you want to quiet down your inner chatter that makes you second guess your decisions? Do you want to move forward into a Fabulous Fall with a clear vision? Afraid of getting pulled in too many directions this fall? Many overwhelmed professional woman are and I experienced it too! I want to give YOU the opportunity to Say YES to a Fabulous Fall and let your Soul Shine forward for all the success you deserve! I get it. You see, I was struggling with my own clarity and it was inhibiting my success. Twenty years ago, I was the Queen of Procrastination and Overwhelm. I was the biggest obstacle in my own path. I made choices that were not aligned with whom I was or whom I wanted to be. Because of this, I had a difficult time taking action on any of the paths. I would doubt myself at every twist and turn. Then, I started working on ME and it took TIME~ too much time. But, what I learned was we often need someone’s insight to unlock the door to that fabulous road ahead ~ especially if you are a nurturer of others! We are often too distracted that we can’t see where we are blocked. It takes a seasoned set of eyes, an intuitive listener and someone who will call you out when she sees your excuses, and someone who will support you as never before. I know, I do in my own life! And, I just did this again! I spent the summer doing a deep dive into ME and coming out with so much more clarity! BUT, I did not do it alone ~ yes, I have the tools but I know I get in my own way. I believe so deeply in personal growth and development coaching that I did it with my mentor and am so blessed! I want to ‘pay it forward’ now and so for a limited number and a limited time, I’m doing something I don’t normally do! I am offering a limited number of one time only Fall into a Fabulous Fall Session. I am giving the chance for you to work with me in a ONE TIME session. (I generally work with clients in my six month coaching programs.) I don’t often work in individual 60 minute sessions but I’m compelled to do this so that YOU can gain momentum and easily Fall into A Fabulous Fall. So, how does a Fall into Fabulous Session work? What are other’s saying about working with Laura? Your session will give you the results that will spearhead you forward! Have renewed inspiration for easily Falling into your Fabulous You. Register Now for This Unique 60 Minute Session that would normally be $247.00. However, I really want you to step into YOU and SHINE that great SPIRIT that is within youI’m offering it at an INCREDIBLE Fall into Fabulous Price of just $147*. Please don’t hide YOUR INNER SPIRIT & don’t delay YOUR SUCCESS any longer! Remember, I generally don’t work one-on-one and I generally don’t coach in August! But this year, for the month of October ONLY this offer will be available. REGISTER EARLY so you actually get one of the limited spots available and to get the BEST selection of times. Oh and, one more thing, because I do believe that SUCCESS happens for those that make choices like this quickly, I will also add the bonus 15 min Q & A call one month later to support your progress!!!! Don’t Delay Learning how to Listen to the most important person in your life: YOU! 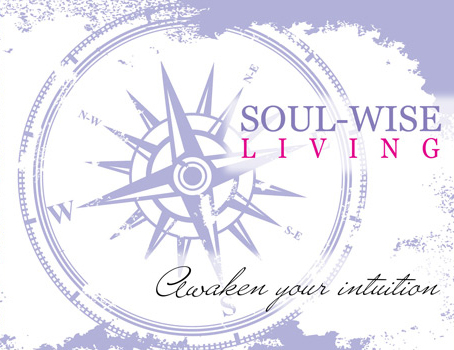 Register now to unleash your inner wisdom! * Normally, this would be offered at a $247.00 rate or more. I want you to receive these benefits so much that I’m offering it at an incredible Fall~into~Fab Price of $147! I’m so excited that we will be able to spend this time with you helping you step away from your self-doubt and Fall into a Fabulous Fall! It’s going to be great!